Winston, S. (2001) Dictionary Limited edition. [Online]. Available from http://www.samwinston.com/editions/dictionary-limited-edition [Accessed 25 October 2015]. Certain words from dictionary become living characters. Arrangement of letters = sound. Shape of how the letters are formed = sound. 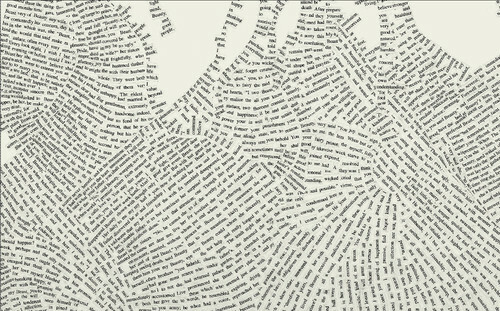 Winston, S. (2001) Dictionary Story print. [Online]. 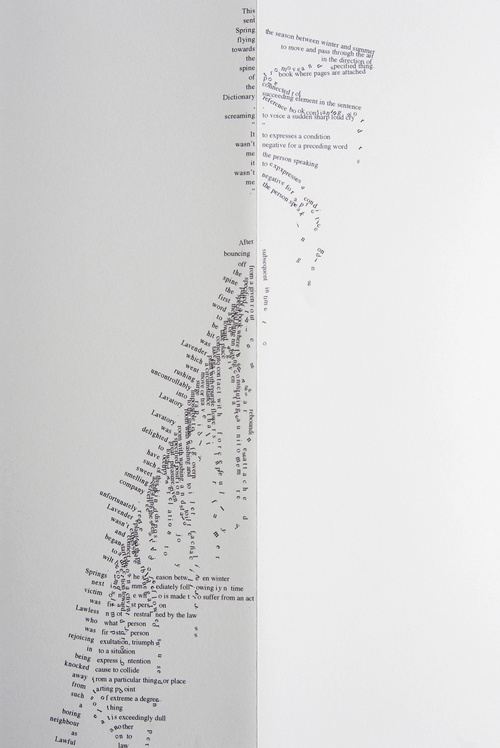 Available from http://www.samwinston.com/editions/dictionary-story-print [Accessed 25 October 2015]. Arrangement of type = Sound. Winston, S. Made up true story. [Online]. http://www.samwinston.com/editions/made-up-true-story Available from [Accessed 25 October 2015]. 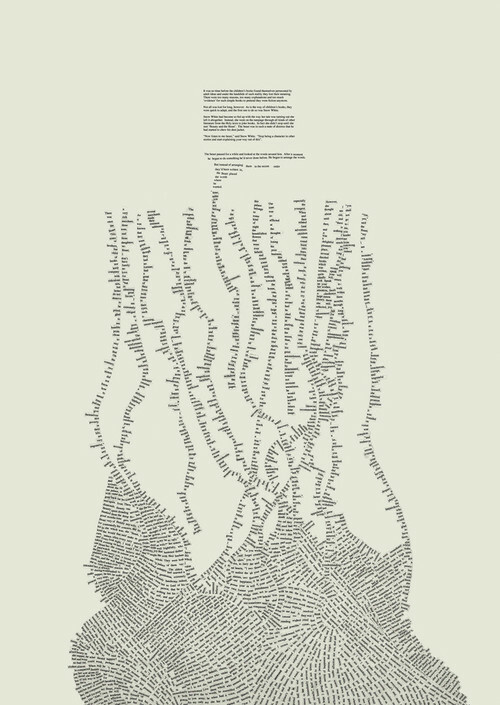 Shape formed by type = sounds of poetry. Shows how sound could be read by type. Winston, S. (1999-2010) Orphan. [Online]. http://www.samwinston.com/editions/orphan Available from [Accessed 25 October 2015]. 2010: Winston finally did a final draft of orphan. 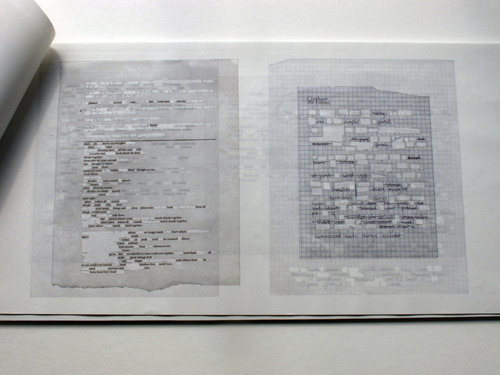 He generated a history of documents that said something about the process of writing itself. Orphan presented Winston’s final tale and show the archaeology of that writing process. Winston, S. (2013) Memory Palace: The Commissions. [Online]. Available from: http://www.vam.ac.uk/users/node/18650 [Accessed 25 October 2015]. Sam Winston worked on the passage of text that reveals that the central character has been imprisoned, because he was found with a fragment of the Periodic table. All of the elements that exist in three objects – a gold watch, a book and a SIM card. Winston chose these objects to represent the banned concepts of time, knowledge and technology. Experiments with words and language that are both carriers of message and meaning, and as visual information itself. 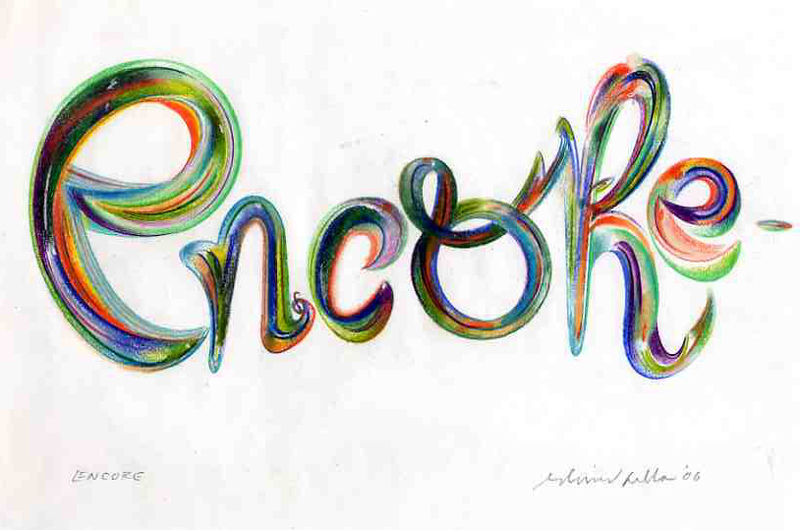 Fella, E. (1989-1999) Prisma Colour lettering.[Online]. Available from: http://dacko.ca/scad/itgm715/proj1/gallery_89-98.html [Accessed 25 October 2015]. Different sizes of lettering could be used to represent volume of sounds of speeches. 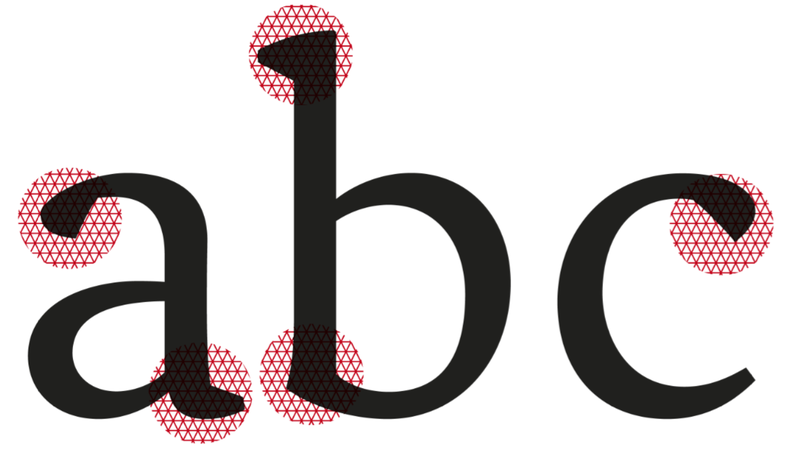 Rendering different letterforms could help with how words are pronounced differently. I could experiment more the arrangement of type to go with sounds of speech. 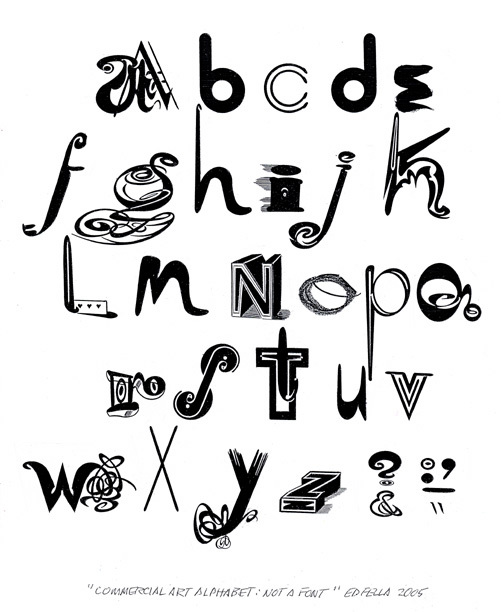 Fella, E. (2005) Commercial art alphabet: not a font. [Online]. Available from: http://www.edfella.com/stack.php?image=5&dir=images/lettering/letteringcurrent/aprojects/ [Accessed 25 October 2015]. Different sizing and weights of letters could also represent volume of sounds of speech. For my project, I will not focus too much on stylising lettering as stylising lettering is not always a direct meaning to sound. Fella, E. (2006) Encore. [Online]. Available from: http://www.edfella.com/lib.php?dir=images/lettering/letteringcurrent/aprojects/ %5BAccessed 25 October 2015]. I will need to consider using Different colours or different shades of colours to emphasise words more. But to consider the colour connotations and if the colour goes with the speech. 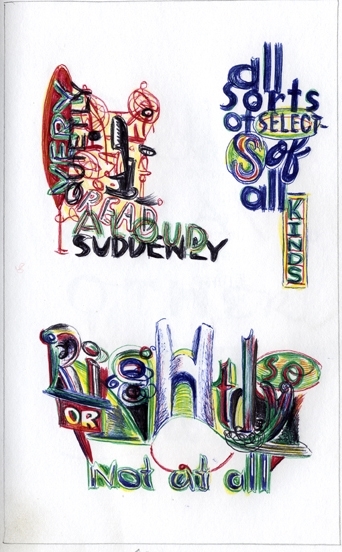 Fella, E. (2003) All ball point & pencil Lettering Book. [Online]. Available from: http://dacko.ca/scad/itgm715/proj1/gallery.html [Accessed 25 October 2015]. Different styles and rendering lettering. For my project, Colour could emphasise volume of sounds of speech. Elliman, P. Flickr. [Online]. 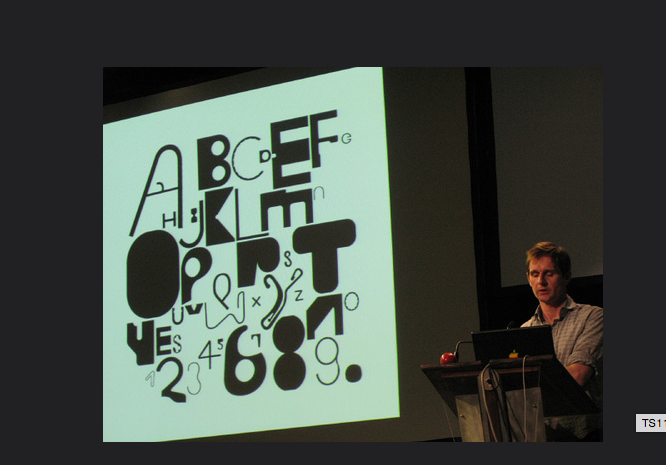 Available from: https://www.flickr.com/photos/typeshed11symposium/3389263768 [Accessed 25 October 2015]. 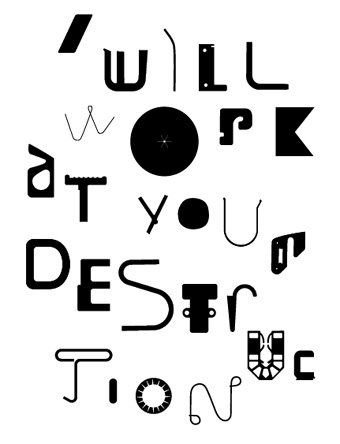 Elliman uses found objects to create his type but then digitalise them. Elliman, P. bits_alphabeth. [Online]. Available from: http://designblog.rietveldacademie.nl/?tag=bits %5BAccessed 25 October 2015]. 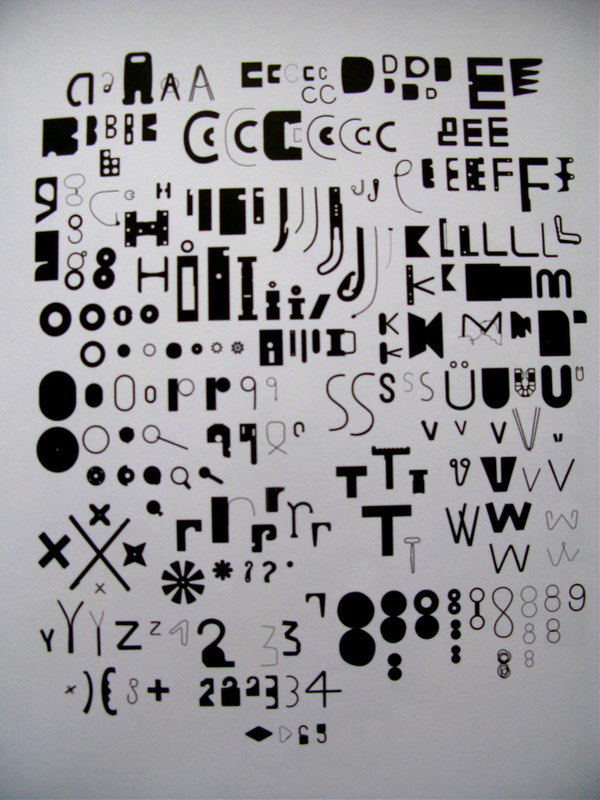 Paul Elliman ‘bits’ design was developed in the mid ninety’s and published in the 15th cities issue of Fuse’s font box. Elliman suggests that the alphabet is an example of repetition and variation in voice and language. Different sizes of letters= volume of speech. Big letters = Loud and small letter= Quiet. Elliman, P. Bits alphabet. [Online]. Available from: https://www.flickr.com/photos/43004534@N04/4320695937 [Accessed 25 October 2015]. 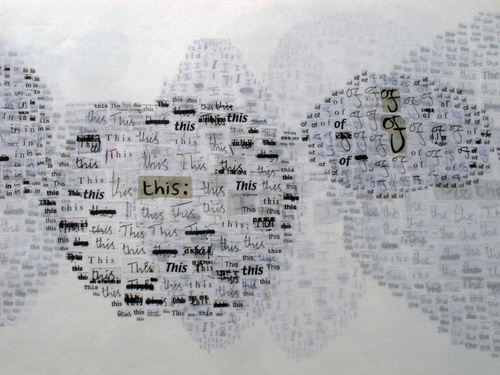 Elliman’s work is shaped shaped by an interest in typography, voice, sound, codes, and the urban environment. 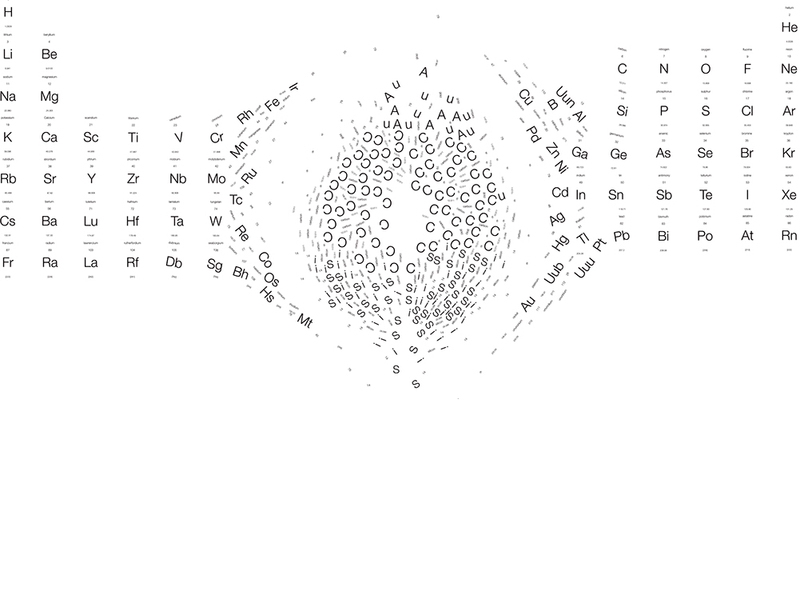 Elliman, P. (2012) Ecstatic Alphabets/Heaps of Language. [Online]. Available from: http://www.frieze.com/issue/article/taken-for-wonders/ [Accessed 25 October 2015]. He created this ecstatic alphabets out of cardboard pieces in 2012. The disembodied voice becomes a surreal audio signage, an object in itself that shapes our perception of place. 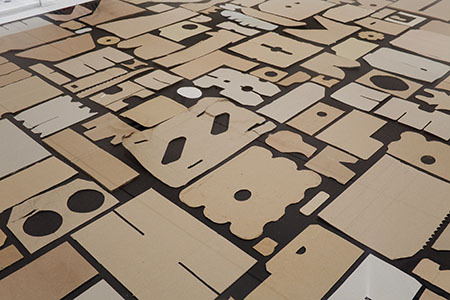 Used Cardboard to create shapes of the alphabet to resemble sounds of the cities. Bessemans, A. (2011) Matilda. [Online]. Available at: http://luc.devroye.org/fonts-52718.html %5BAccessed 29 October 2015]. Her research interests include the interrelations between image & word, typography, font design, legibility, reading graphic design, book design and modular systems. To help children read simple forms to complex forms. Aesthetic design of a new font. Legibility will help with my project with type and sound. As some of my words will need to be read like the sound. Besseman’s work does not consider type and sound, however some aspects of type I will need to consider such as the legibility-How it will be read so it can also match the sound. 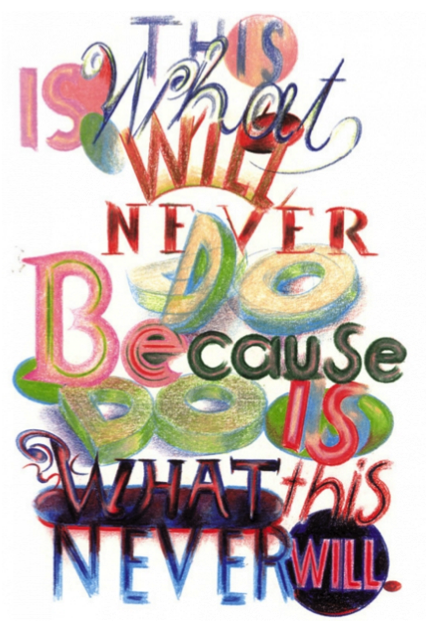 Her work is more typographic and uses typefaces. Bessemans, A. 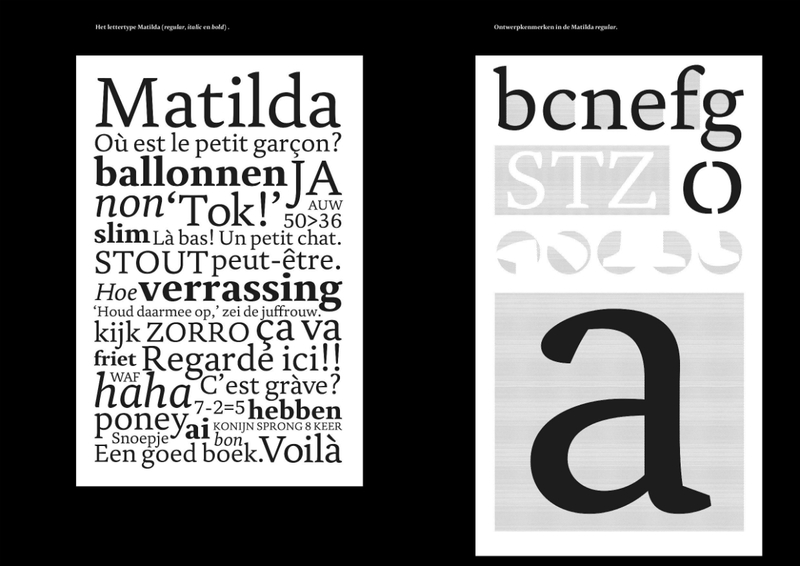 (2012) Matilda typeface. [Online]. Available at: http://typography.guru/journal/legibility-children/ [Accessed 29 October 2015]. Her goal of this PhD project was to design a font that can reduce the reading problems of children with low vision (Uhasselt,2015). 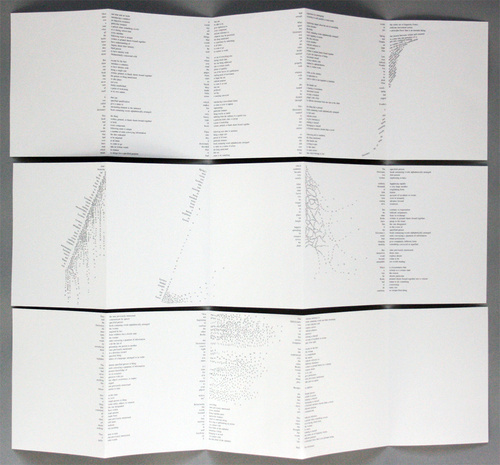 Her work is not closely related to type and sound, however some aspects like the legibility of type will be important to my project- How type can be read to match the sound.-I will need to consider this for my project.